The situation for internet-based poker in the United States is a mixed bag. On the one hand, there are only three states with legal online poker backed up by a full regulatory framework to protect the practice. On the other hand, the actual US legal online poker marketplace is just a shadow of its former self thanks to the passage of anti-gambling legislation in the mid-2000s that crippled the industry. Additionally, the fight to broaden the legal availability of online poker at the state level is a bitter one, with online gambling proponents locked in a struggle with antigambling politicians and moneyed, powerful special interest groups and personages looking to ban online poker outright. However, the silver lining that emerged from the storm clouds surrounding the debate is that the demand for legal online poker has been filled by offshore gambling sites that operate outside the purview of US law. Because these legal online poker sites are fully regulate and licensed by the gaming authorities in their home countries, it has the effect of making legal online poker available to all US players, regardless of the state they call home. Because of the ongoing discussion over more broadly available legal internet gaming options for consumers, the interest level surrounding online poker sites has gone through the roof in recent times. For that reason, we compiled this quick and easy-to-read guide to walk you through some of the basics on the states with legal online poker and the states that may soon pass online poker legislation, as well as give you some of our top recommendations among legal offshore poker websites that accept US players. As we mentioned before, there are only three states that regulate online poker sites and have passed legislation specifically legalizing them. We’ll go into greater detail about each of those states in the following sections before we take a look at the states that may soon join the small fraternity of states with legal online poker. However, it is important to recognize that the states that have already legalized online poker haven’t had the easiest time in achieving the revenues promised during the intense campaigns to get pro-internet poker laws passed through their statehouses. When you also consider the interests arrayed against the young internet cards industry, the long-term viability of legal online poker in America is uncertain at best, giving even more credence to our belief that offshore poker websites like Bovada.lv, BetOnline.ag, SportsBetting.ag and 5Dimes.eu are the best bet for US players. The Garden State has, far and away, the largest of the three markets of the three states with legal online poker. New Jersey also boasts some of the biggest names in the resurgent internet poker industry – including the return of the legendary PokerStars.com, which had at one time been the market leader. The presence of some of these big players in the online poker world (World Series of Poker’s website, Pala Poker NJ and 888 Poker and PartyPoker among them) means that New Jersey has got some of the country’s best long-term outlook for the industry. However, the overall impression is that the numbers in terms of payouts – and particularly with regard to taxable revenues – have been much lower than promised by the politicians who pushed regulatory legislation through the statehouse. Nevada, famous the world over for the glitz and glamour of the Las Vegas strip, actually plays second fiddle to New Jersey with regard to legal online poker. Unlike New Jersey (and even Delaware, as we will soon see), Nevada does not offer other online casino games, instead relying solely on online poker. That marketplace is led by the World Series of Poker’s website, WSOP.com, which is regulated by the Nevada Gaming Commission and the Nevada Gaming Control Board. The big advantage of WSOP’s leadership role in the Nevada online poker industry is the significant uptick in high profile live poker competition among Nevadans, owing to ease with which satellite qualifier events can be hosted over the internet. A fairly recent deal was struck between Nevada and Delaware to share a joint pool of online poker players. This is a move that should pay dividends well into the future as the domestic internet card room industry starts to rebuild after being all but dismantled by anti-gambling legislation in the mid-2000s. Delaware, though it became the first state to legalize online gambling generally when its legislatures passed the appropriate law in 2012, it actually has the smallest online poker marketplace as of this writing. However the state’s fortunes have been steadily improving ever since lawmakers inked a 2014 interstate gaming compact with Nevada, the worldwide leader in all things wagering. According to the stipulations of that agreement, Delaware and Nevada share a joint pool of registered online poker players to the benefit of both states as they struggle to rebuild the online poker industry. Delaware is unique among the other two states with legal online poker in that only one poker site operates in the state: the three legal operators, Delaware Park, Dover Downs and Harrington Raceway (all of which are “racinos,” or horse tracks with card rooms) share the site clearinghouse-style. This has presented some problems for Delaware over the years since the adoption of the regulatory framework, as the three operators essentially offer the exact same online poker and casino options with very little, if any individual special features to differentiate them. Furthermore, splitting a small pool of players has had the effect that tax revenues – projected to be in the $5 million mark – were a lot less than hoped for. Total online gambling revenues coming in at $1.4 million in 2014, and they haven’t seen much of an uptick in the years since then. Though the three aforementioned states, New Jersey, Nevada and Delaware, already have laws on the books to regulate legal online poker, there are other states looking to get in on the action too. However, indecision on the part of lawmakers and intense pressure from powerful and well-off special interest groups (brick-and-mortar casino owners like Las Vegas magnate Sheldon Adelson, one of the richest men in America, among them). Nevertheless, the states most likely to pass legislation regulating online poker have a mighty incentive to do so. They need money, and internet card rooms, though only a component of the broader online gambling industry, can help get their state budgets where they need to be. In the next few sections, we’ll briefly go over some of the states expected to regulate online poker within a few years’ time. Pennsylvania is perhaps the closest of any state to achieving success in regulating online poker. Both houses of its legislature approved a 2017 budget containing provisions for online gambling-related tax revenues, a big step in itself toward eventual adoption of this as official policy. However, efforts to actually legalize online gambling along with regulation for daily fantasy sports and other gaming reforms stymied in the Pennsylvania Senate in 2016, so the fate of the legalized online poker is still up in the air. Nevertheless, Pennsylvania is definitely on the frontline of the fight by states with legal online poker on the mind, and what the state does one way or another could be a leading indicator for the course of action taken by other states. The Empire State has gained a lot of ground in the past few years when it comes to the push for regulated online poker, as in 2016 such plans made it past the introductory phase for the first time ever in the movement’s history. New York’s primary concerns seem to stem from perceived security issues with online poker, but those worries seem to be sorting themselves out, as prominent lawmakers, including the chairman of legislative committee in charge of overseeing gambling, have given some early indications that the tables could be about to turn. In fact, even though New York failed to pass online gambling regulatory bills in 2016, it appears that the state will move to legalize online poker in 2017 or within the near short term. Michigan is the Johnny-come-lately among states with legal online poker bills before its lawmakers. Even though there was some headway made in 2016, when the legislature put forward a bill reforming gambling regulations in the state, Michigan’s statehouse couldn’t unify around the bill and it died for lack of action. There’s really no telling if the bill will be taken up again at any upcoming legislative session, but if it did, there remain substantial challenges to any eventual passage of such a bill, owing to the tightrope that has to be walked between the interests of commercial and tribal casino operators. Everyone, it seems, wants a slice of the pie when it comes to online poker revenues, and the state of Michigan, still reeling from the Detroit bailout fiasco and other scandals, could use the money too. Time will tell if anything comes of these efforts, but it looks like a longshot from here. Golden State lawmakers let a bill to legalize online poker die on the floor when they failed to take action on the proposed legislation during the 2016 session, but all hope isn’t lost yet. A coalition of tribal casino operators from around the state of California are attempting to force Sacramento’s hand, but proponents of online poker legalization are still on-board for trying to get all sides to see eye-to-eye on the matter. Working out a compromise between the various stakeholders from the tribes to the horse racing industry representatives is most likely going to be a real challenge for California, but if its lawmakers can work out a deal then the Golden State could become one of the few states with legal online poker here in the next few years. We’ve already talked at length about the various states with legal online poker and why that list is so short – namely due to federal anti-gambling laws – but up until now we haven’t really spoken about the particulars of these laws and how exactly they impact the online poker regulatory movement. 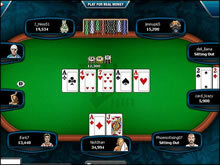 It is important to understand the gravity of such laws as 1961’s Federal Wire Act and the Unlawful Internet Gambling Enforcement Act of 2006 (UIGEA), as any conversation about legal online poker – and indeed any variety of gambling over the internet – will be colored by the effects of these two laws. First, the Wire Act was devised in the late 1950s as a means of cracking down on criminal organizations involved in sports betting racketeering and match fixing. It was thought, and perhaps rightly so, that this illegal activity provided a much more easily concealed and more lucrative source of income for the mob than did extortion, prostitution or even the illicit drug trade. The Wire Act, appropriately enough, forbade the use of wired communications facilities for interstate sports betting purposes, but only for that purpose. Individual bettors were not the intended target of this law, but powerful politicians, even to this day, interpret the Wire Act’s language as an ambiguous attack on all forms of interstate data transmission related to any kind of gambling, a phenomenon that led to the recent introduction of the Restoration of America’s Wire Act (RAWA) in Congressional circles. If passed, RAWA would effectively ban all forms of online gambling in the US, and would criminalize participation in online gambling, not just the facilitation of illegal gambling practices as it does now. Next up, and perhaps have more to do with the topic at hand – that being the states with legal online poker – is the UIGEA. Passed and signed into law during the George W. Bush presidential administration, the UIGEA was hastily tacked on to a piece of entirely unrelated “must-pass” antiterrorism legislation. This ignominious beginning was only the first of the woes to come out of the passage of the UIGEA, which prohibited US-based financial institutions from processing online gambling-related credit card transactions. This move, in short, effectively killed what was at the time a booming online poker market, and many operators were forced out of business overnight while some were even the subject of federal investigations resulting in arrests. While the UIGEA does not seek to penalize individual bettors (just like the Wire Act doesn’t), it does make the process of depositing and withdrawing money from player accounts at legal offshore online poker sits more difficult, as new means had to be devised to do those things. Players have largely embraced the offshore poker rooms and casinos that serve the US market for this reason. Now that we’ve looked at the laws that put the legal online poker marketplace in the straights it’s currently in, we ought to give you a look into what we think are the best alternative to the rigmarole. The best legal online poker sites for US players are those based in foreign countries, and they handily beat out their counterparts in states with legal online poker websites in terms of number of games offered, higher money limits, better comps and bonus promotions for new sign-ups and deposits and, often, better customer service too. The cream of the crop among offshore legal poker sites is Latvia-based Bovada, which is also the industry leader among offshore sportsbooks and internet casinos. Bovada has numerous real money tournaments going all the time, but right now some of the biggest are a $100,000 guaranteed winner tournament and weekly guarantees with total payouts coming in at $1.5 million. The Euro-based gambling site also has some of the best bonus promotions on the market today, including a 100-percent match for new signups up to a $500 initial deposit. Bovada also offers a refer-a-friend bonus worth a 200 percent cash match and even a $5,000 BitCoin welcome bonus. Some of the other truly excellent offshore poke sites include the poker sections of SportsBetting.ag, BetOnline.ag (both of which are based in the tiny Caribbean island nation of Antigua) and the European Union-based 5Dimes. Each website has roughly the same assortment of table games from roulette to craps as well as card games like blackjack and, of course, poker. Slots are also available at the various offshore sites’ internet casinos. However, the biggest difference, outside of the look and feel of each one, are their own unique bonuses and comps. It’s entirely possible to fund much of your bankroll using the free promotional money the offshore gambling sites will gladly pay out, so it quite literally pays to open and maintain multiple accounts at the sites we recommend. Can I Play Online Poker For Real Money At Offshore Poker Sites? In case you haven’t already signed up at our top picks among legal poker sites, you should be aware that, yes, you can play for real money at offshore poker sites. Numerous guaranteed-money tournaments are available practically all the time, and the list is updated continually for the most bang-for-your-buck play. Are Offshore Online Poker Sites Safe? One of the biggest advantages of using legal offshore poker sites is the security measures they take to keep their account holders’ personal and financial information safe. All our top picks in this highly competitive market sector use multiple layer encryption software on the front end to securely lock down any bank account information you send over in the process of making a deposit, but that’s not all. They also have several backup redundancy protocols in place on the back end to make sure your personal information is only stored in secured locations and is never kept on the websites servers where it could be vulnerable to hackers. The best legal offshore poker sites have to have these kind of security measures in place in order to get licensed from their home countries, which have some of the strictest gaming regulatory commissions in the world. What Is The Legal Gambling Age At Online Poker Sites? Each offshore legal poker site is usually going to set a minimum gambling age of 18 before players will be allowed to use any of their gambling services. However, in the US many state laws require that players be at least 21 before they are legally allowed to gamble. This is the case for the three states – New Jersey, Delaware and Nevada – with legal online poker. However, some states only require players to be 18 before participating in games of chance at their land-based casinos. Although our top recommendations among offshore poker sites technically aren’t beholden to any US laws, as they operate and are licensed and regulated in foreign countries, it’s probably a smart move to stick to the legal gambling age according to your local laws. There’s nothing to be gained but a lot to lose if you’re wrong in thinking you won’t get caught. How Do I Make Deposits And Withdrawals At Legal Online Poker Sites? The Unlawful Internet Gambling and Enforcement Act of 2006, which we discussed at length earlier in this guide, makes it more difficult to place deposits and collect your winnings via withdrawal than by rights it ought to be, even at legal online poker sites. States with legal online poker may accept most of the common credit and debit card types for deposits and withdrawals, but at the legal offshore poker sites we recommend, you are in all likelihood going to have some inconvenience when you try to do either. Deposits are handled somewhat more easily, though the best method we’ve found is to use prepaid debit cards like Vanilla Visa card, Mastercards or American Express. These card types, though not strictly speaking credit cards, will still be processed like credit cards, which is why you could run into a decline, especially if the website you’re using has a higher volume at the time you’re making a deposit. The withdrawal process is even more dragged-out due to the need to accept payment in the form of a check in the mail (yes, even in the current year) or a direct bank account transfer. Really, the best, speediest and most secure method for either deposits or withdrawals is to use BitCoin. The industry-leading offshore poker sites like Bovada and BetOnline will even offer pretty incredible mult-thousand-dollar welcome bonuses for making your first deposit using the hot new cryptocurrency, and payout literally takes minutes. Each site has its own procedures for this newer method using BitCoin, so be sure to check out availability at the site you decide to use for legal USA gambling.